Darjeeling: Tourists visiting Darjeeling and Kalimpong from Thursday will have free entry to tourist spots under the Gorkhaland Territorial Administration (GTA). Along with this, all important public spaces in the Hills are set to become wi-fi free zones in the next three months. 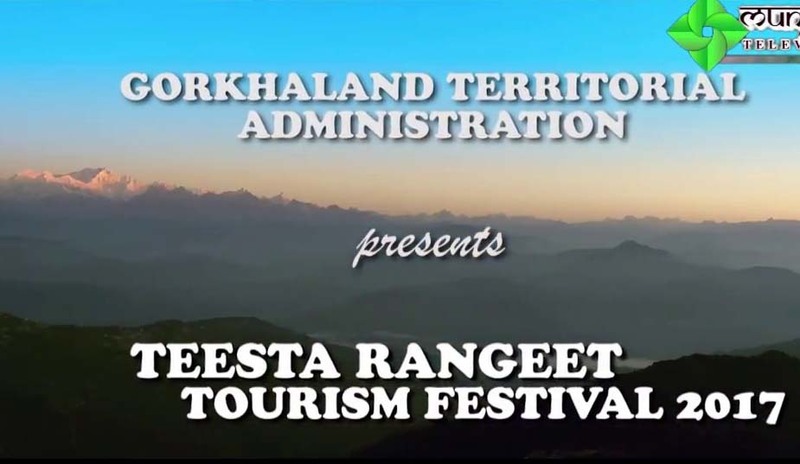 These announcements were made at the inauguration ceremony of the Teesta Rangeet Tourist Festival 2017 in Darjeeling on Wednesday. "In the recent past, Darjeeling Chowrasta wore a deserted look with hardly any person except gun-toting policemen who kept a strict vigil. Now, there are tourists pouring in. We thank the people of the Hills and also the tourists for the return of peace to the Hills," stated Binay Tamang, Chairman, Board of Administrators, GTA. "Entry fee will be waived off completely at all tourist spots under the GTA from Thursday. Toll tax will also be removed from Rohini Road from January 1, 2018," added Tamang. He appealed to the state government to declare Sidrapong Hydel Power station as a heritage site. Commissioned in 1897, Sidrapong Hydel Project near Darjeeling town is believed to be the oldest hydel project in the country. Under the Darjeeling Municipality, Sidrapong used to supply electricity to the town since 1897. In 1978, the West Bengal State Electricity Board took over the hydel project. Tamang stated that along with the state government, new tourist spots will also be commissioned. "We will promote adventure tourism, eco-tourism, village tourism, heritage and cemetery tours in future," he stated. Atri Bhattacharya, Principal Secretary, Home, Hill Affairs and Tourism departments, the government of West Bengal, who was present at the flag off of the festival stated: "We will all work together to restore Darjeeling and Kalimpong to the stature of the most important tourist destinations of the country. We will work together to fulfil the needs of the masses." On the same occasion, eminent educationist Dipankar Basu; Doctor Anup Kumar Bari; Lama Penjo Bhutia, a Buddhist monk who runs a free boarding school for students from the weaker sections of society and Rongu Souriya who has rescued more than 300 trafficked girls were felicitated. The day saw the commissioning of two parking spaces, a seven-storeyed parking facility near Darjeeling Government College on Lebong Cart Road and a five-storeyed one near the Railway Station on Hill Cart Road. The seven-storeyed facility which is not complete yet can presently accommodate 260 vehicles. After completion, it will accommodate around 475 vehicles. Around Rs 28 crore has been spent on the structure. The other parking facility built at a cost of Rs 10 crore can accommodate 130 vehicles. "We have given a proposal to the state government for another parking facility that can accommodate 150 vehicles in Darjeeling. Together they will resolve the parking problem of the Hill town. Similar facilities are also coming up in Kurseong and Kalimpong," he said. Tourists visiting Darjeeling and Kalimpong from Thursday will have free entry to tourist spots under the Gorkhaland Territorial Administration (GTA). Along with this, all important public spaces in the Hills are set to become wi-fi free zones in the next three months.